For those of you who know me, you’ll know I don’t like too much hassle in the kitchen. I don’t follow cooking ‘methods’ and recipes with too many stages; I like to keep cooking easy. 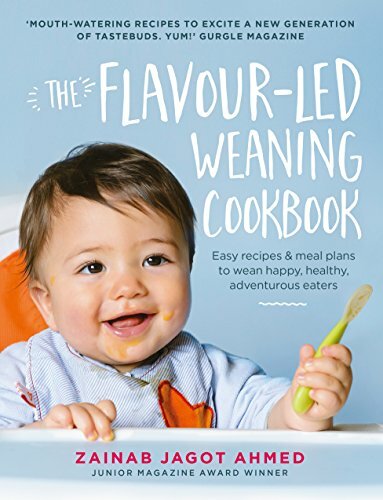 That doesn’t mean my meals are any less flavoursome or tasty than anyone that cooks really fancy meals. For me, cooking is not only about wholesome meals, it’s about practicality for parents too - they have to be quick and easy. For this reason I prefer to stick with a range of aromatic spices I keep in my cupboard and work my recipes around these spices. It saves me having to go out and buy lots of different ingredients for meals. It also give me an opportunity to be creative with the ingredients I keep at home. You’d be surprised how different you can make a meal taste just by removing one spice or by adding a new one. So the recipe I’m going to share today is a really simply Chicken and Dhal recipe using my favourite dhal – masoor dhal (aka red lentils). I always keep this dhal safely tucked away in the kitchen cupboard along with my other food cupboard spices. And boy is this meal protein-rich! As you probably know, chicken and lentils are both bursting with protein. Protein is essential for healthy growth because it lives in every cell and tissue in our body i.e. hair, muscle, skin, nails. So protein is great for growing children and for parents. Serves family of 4. Total preparation and cooking time: 35-40mins. Dhal: Heat the oil in a pot and soften the onion. Then add the garlic, ginger, curry leaves, mustard seeds, cumin seeds and coriander leaves. Stir-fry continuously for a few minutes on medium-low heat as you don’t want to burn the spices. Then add the tomatoes, ground coriander and continue to stir-fry for another few minutes until the tomatoes have softened. Add the lentils, water and simmer on low heat for 20-25mins until the lentils are tender then set aside. Chicken: While the lentils are simmering, add a little oil in a non-stick frying pan. Add the peeled plum tomatoes (and a little tomato juice from the tin), lime juice, paprika, black pepper and cook the sauce on med-high heat for a few minutes. Then add the chicken pieces and stir-fry for approximately 10 minutes until the chicken is tender. Finally add the chicken and sauce from the frying pan to the tender lentils and combine for a delicious meal. Serve with freshly baked tiger bread from the supermarket (or rice). 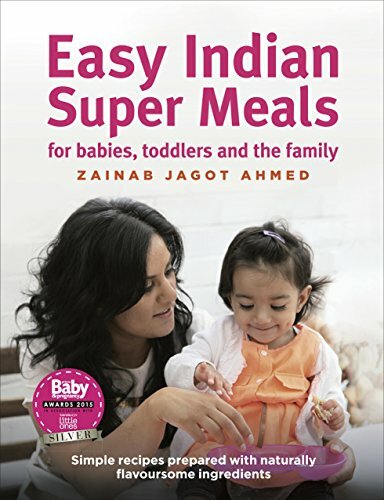 You can find more delicious recipes in Easy Indian SuperMeals for Babies, Toddlers and the Family available to buy now from Amazon. Recommended by Prima Baby & Pregnancy and Mother & Baby.